As meals go, it's a pretty special one. So it makes sense to start with suitably well-sourced ingredients that have been reared, grown or crafted by specialist producers. It's a meal that, for many of us, demands more care and attention than any other that we'll cook throughout the year. So in seeking out producers who operate to the highest standard of care and attention, we're only giving ourselves - and our festive spread - the best chance to really shine. As seasons go, it's a busy one. But just imagine - on top of all the festive comings and goings and meetings and greetings, all the shopping and wrapping and swapping of gifts, all the logistical planning for seating and eating - that you also had to take responsibility for the Christmas dinners of hundreds of families besides your own. If you thought you were busy, take a sneak behind-the-scenes peek to see what is involved for Ireland's best specialist producers in getting their food to our tables for a truly great Irish Christmas dinner. As food heroes go, these folk are up there with the best. "There's always a nervous moment before you open the doors to let out the turkeys in the morning, especially if it's quiet - you're wondering if a fox or pine martin or a stray dog got to them somehow. Later, I'll walk through them all, checking for lameness or pecking or squabbling. It's time-consuming. Between feeding and bedding there's about four hours in it, plus things like testing for diphtheria and keeping track of orders. "At this time of year the phone never stops ringing. I can have some conversations with a new customer down to a minute-and-a-half. You'd be surprised what you'd learn from them - apparently you can poison a flock with rhubarb! "We have 700 turkeys this year and 240 geese, which is 100 more geese than last year. People are getting more adventurous but also it's becoming a longer festival and they're getting a goose for Christmas Eve or New Year. "I've been rearing them now for eight years. I was a carpenter by trade and literally the jobs stopped coming in. I had two geese at home but a fox came for them. When my wife Olivia suggested that we try turkeys, I didn't mention it again for three weeks and then arrived home with a hundred turkey chicks. That didn't go down so well! Our chickens are out the back door, pecking around, so Olivia saw herself trying to get out to work in the morning through them in her suit! I said: 'I'll farm them, you sell them'. "We buy in Kelly Bronze as hens, as they've more meat on them than the toms. Our birds are six months old when they're sold, as opposed to commercially reared turkeys at four months. The older the turkey, the more flavour it has. "We plant a huge amount of fodder crop to encourage them to go outside. Their main diet is barley and wheat but supplemented with carrots or pumpkins in the field. The outdoor area is regulated to two square metres per bird, but I more than double it - I have the room and it doesn't get mucky. "We open a farm shop three days before Christmas, do drop-offs to markets like Honest2Goodness and sell through Avoca or butchers like Hugh Maguire, who does a smoked turkey. There is a cost in producing quality food but when people come out here on open days and see the work that goes into it, they get it. I also bring a mobile farm to schools with seven species of productive farm animals. It's important that we help people make that connection." "It all started with two orphaned piglets. Myself and Diana had a sow at home who died and we were left with two pigs, which we hand reared. Then we got a few more but ended up with too many pigs, so we started to supply two or three butchers. Next, we started with the food service side through Ashford Castle. When we picked up a Euro-toques award in 2016, that gave us nationwide recognition. "This year we were selected for a Compassion in World Farming award. Their criteria don't allow for teeth clipping, we don't do any tail docking and we believe that the piglets need to be left with the sows until they're at least seven or eight weeks of age. Some international standards say that the free-range pig has to be outdoors all the time, but it can be fairly miserable in the rain, mist and snow. With the Compassion in World Farming standards, the pigs can choose to stay inside but are provided with malleable material to root around in. "At first we struggled to get the right amount of fat covering. People want consistency and that only happens with the right breeding. We had a Large White sow to start and, through the use of AI, we settled on a Hyroc boar which is a cross between a Duroc and Pietrain. The Pietrain gave the size for the gammon joints while the Duroc gave the piglets the stamina needed for being born outside. "We call it 'velvet pork' to describe the consistency of the meat compared to a factory pig. An outdoor pig like ours carries an amount of vitamin D from the sunshine, but also they've room to walk about. Ours are killed at 80-85 kilos, so the fat and the skin are just that little bit firmer. They've had a longer and better quality life. "We're really busy in these few weeks, making sure the gammons are in place in the retail stores. I might start at 5.30am and by 9.30pm at night I'm still at it. We've the pigs to feed in the morning, and we do all our own butchery. I take all the pigs to slaughter about 15 miles away from us here in Mayo and then bring them back to our premises in Co Galway where we break them into whatever people want. "We wet-cure the gammon joints in a salt brine and do a small amount dry-cured. Once the gammons are cooked they become a ham. At home, our preference is to boil ours until cooked thoroughly, let it cool and then glaze in a whiskey and honey and bake in the oven - that's how we'll be eating our ham this Christmas." "There's always been a farm here, which I've worked on since I married Pat 30-odd years ago. We're farming organically 20-odd years and joined Temple Bar's Saturday food market 20 years ago last August. I started with a little bit of everything, just tiny baskets when I think of it now. But I came home with a few bob more than I had to start. I always enjoyed expanding the range, and never imported. "The lead up to Christmas is always busy. Lots of people celebrate together in those weeks before Christmas, so it's full on. And there's no market between Christmas and the New Year, so people double up on the root veg. Our salads keep well, too, so they stock up on that. "It's all about the traditional vegetables at Christmas - the carrots and parsnips, the sprouts. Although more people now are doing a mixed root veg with beets for a bit of colour and maybe some crown prince pumpkin. Every year, Pat asks how many drills I've sown of Brussels sprouts, and then doubles it. You're always going to sell out of sprouts, but if they're not sold, we have a few birds here who are happy to eat them. "Our flower sprouts or 'kalettes' are popular too. They're actually a cross between a sprout and kale. They're one of the more unusual veg that we grow - we always scour the catalogues for different ideas. They're so easy to cook, just a little oil and garlic in a pan and lightly stir-fry them for about five minutes. Delicious! "My eldest girl, Aoife, is still involved in the business. Niamh is a manager in Butler's Pantry, and Sarah does her own thing with Market Kitchen. The two boys stayed on the farm, they saw a future in what we were doing. We're at Leopardstown market on Fridays, Temple Bar on Saturdays and Dun Laoghaire on Sundays, and then we have a farm shop at home for our northside customers. "There's no market in Dun Laoghaire this year on Christmas Eve so we'll open the farm shop that day.It's good fun and there's always a glass of hot apple juice going. Then on Christmas Day, we enjoy all those traditional veg ourselves: creamed leeks and sprouts, of course, but shredded and done with onion and bacon, lots of roast veg, and potatoes - roast and mashed. You can never have too many potatoes!" "Christmas was always a very special time in the Kapil household and I'm a massive fan of Christmas pudding, which is why I wanted to make my own. The concept was to produce a delicious, affordable Christmas pudding full of high quality ingredients and using local produce as much as possible, including Green Saffron spices, as we're a Cork-based company. "We opted for a pudding with no suet in it for a lighter texture. Instead, we use plenty of Irish butter, which leaves a cleaner finish. "For the fruit, we hand dice Sicilian orange and lemon peel which we import from an Italian company in the UK because it was the best we could find: it tastes of orange and lemon, with no artificial chemicals, just crystallised peel. We buy Izmir sultanas imported to Ireland from Turkey. Again, we go out of our way to get the best. "For the alcohol, we use Craigies cider and, being in Ireland, we have to use a great Irish whiskey. The one we love best is Teeling whiskey - plus we love their story. 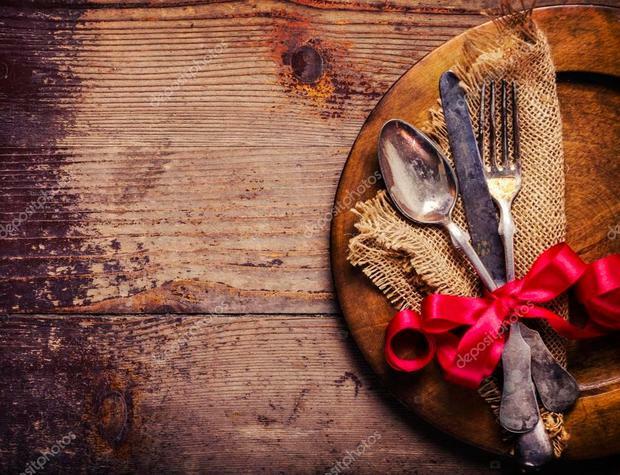 Food is not purely about ingredients; this is the centrepiece of someone's Christmas table and part of the romanticism of the meal is the story behind the food you serve. "Then the question is, how do you back up those flavours? We use a new season crop of single origin black pepper to add an amazing delicate perfume but also a subtle heat to back up the heat of the whiskey. Then we add our own Christmas mixed spice, which has cubeb peppers, coriander, desiccated orange, green cardamom, so lots of different perfumed notes. I find most Christmas puddings tend to be really sweet, so there's no white sugar in ours; we're using muscavado, black treacle, and lots of vanilla. "Now let's bring it together. I've taken out the suet, so I thought let's add breadcrumbs to it. We asked our neighbour Jack Cuthbert, a sixth-generation baker, for the breadcrumbs, and now he produces our puddings for us to my recipe. So, we have a Cork baker, a Wicklow cider, a Dublin whiskey and a Cork spice company! "We're selling our puddings to restaurants in Paris and London, as well as through local farmers' markets and small delicatessens throughout Ireland. And we get online orders from Irish diaspora as far away as Australia." It may now be too late to get your hands on the wonderful Burren Cold Smoked Irish Organic Salmon, Woodcock Smokery's selection of smoked Irish fish (orders are long closed for their exquisite smoked wild salmon) or Connemara Smokehouse's superb range - so get an early order in for next year. For meat-lovers, Tom Durcan's award-winning spiced beef - a staple of Cork's English Market - is now available to buy sliced in Centra and SuperValu supermarkets nationwide. As farmhouse cheese specialists go, Sheridans Cheesemongers bring real passion, knowledge and dedication to the craft of curating, storing and selling great cheese. Cork's Eight Degrees Brewing have released a pair of Barrel Aged Christmas Beers named after the Oak King and the Holly King, two warrior twins of Celtic mythology. Each have been aged in French oak barrels formerly used for pinot noir and chardonnay, with added Brett C (Brettanomyces Clausenii) wild yeast. The Oak King Belgian Pale Ale (6.5pc ABV) makes a great pairing for smoked salmon through to the full turkey and ham experience, while the Holly King Imperial Stout (9.5pc ABV) is just the rich drop for sipping with some Christmas pudding. Tanya Sweeney While Christmas Day is packed with calories, hi-jinks, booze-fuelled bonhomie and goodwill to all men, the day after can often be a bit more sombre.